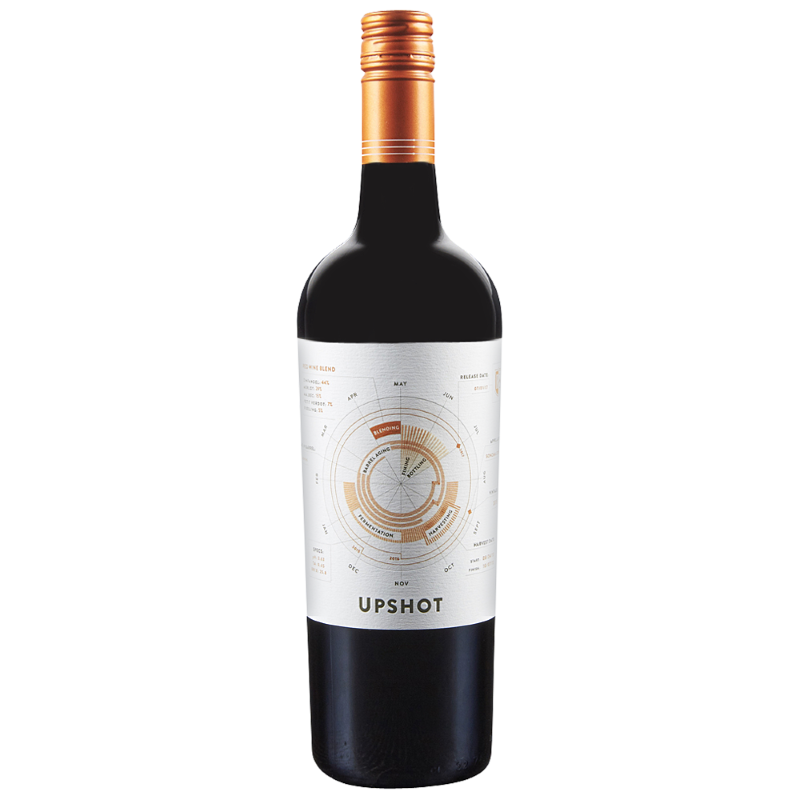 Introducing Upshot, the end result of our winemaker’s passion for blending flavorful, deeply nuanced and unique wines. Exclusively from vineyards in Sonoma County, predominantly Alexander Valley and Knights Valley, our Red Blend offers a sumptuous, almost magical outcome of the growing season and winemaking process. “This wine was made to enhance the enjoyment of life in a fun and inviting way. The Zinfandel that comes off one of our estate vineyards, called Hubbard Ranch, starts as the foundation of the wine and gives it a great sense of place. The Merlot adds a sense of sensuality and softness that invites you in to the heart of the wine. The Malbec is the flesh and soul of the wine. It adds beautiful blue and red fruit and contributes to the mouthfeel with depth and texture. The Petite Verdot is the confidence of the blend and adds intensity and complexity. Lastly, because the wine is about enjoyment, I added a splash of Riesling for the fun…It adds a floral high note.